Hyundai has unveiled the latest version of its popular hatchback, the i20. The manufacturer claims the car will have class leading interior space, greater technology and comfort-enhancing features. It has also undergone a redesign, being longer, wider and lower than the outgoing model. While creating a sculpted look to the exterior, the redesign has made the interior far more spacious, beating the competition with a generous 326-litre boot space. New safety technologies have also been unveiled as part of the i20 package, including an automatic parking assistant, lane departure warning and automatically defogging front windscreen. In addition, the car gains a comfort orientated upgrade with a heated steering wheel, a panoramic opening glass sunroof and increased soundproofing. The car should also have a more comfortable ride, with vibrations reduced thanks to innovative chassis tweaks. The car features plenty of equipment at a reasonable price, and demonstrates features not normally found in this class. A choice of economical petrol and diesel engines are available, including a new 1.0-litre turbocharged three-cylinder petrol due in 2015 promising 118bhp. Combined with Hyundai’s five-year warranty, the car has convincingly low running costs. 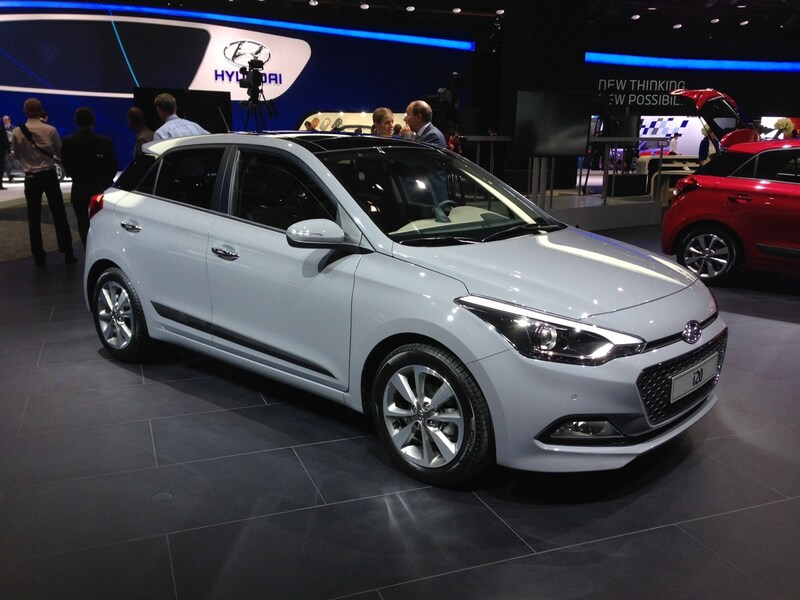 The five-door i20 will arrive in showrooms in January, with a three-door available from March 2015. Read more about the new Hyundai i20 by clicking here.